Though production lines at the fear factory are still in overdrive, the Department of Homeland Security’s Domestic Nuclear Detection Office (DNDO) are scrapping plans for a new generation of “high-tech detectors for screening vehicles and cargo, saying they cost too much and do not work as effectively as security officials once maintained,” The Washington Post reported. Why would they do that? For answers, we’d better consult defense and security powerhouse Raytheon, the project’s prime contractor. Clocking-in at No. 5 on Washington Technology’s 2009 “Top 100 List” of Federal Prime Contractors, the company pulled-down some $5,942,575,316 in defense and security-related contracts from the U.S. Missile Defense Agency, NASA, the armed forces and Department of Homeland Security. Touted as a next-gen “homeland security tool” that would provide Customs and Border Protection inspectors with the capability to detect illicit nuclear or radiological materials inside containers entering American ports, “with low false alarm rates” to boot, despite hundreds of millions of dollars poured into the program, the ASP performs no better than devices in place today. As with existent monitors, the ASP was unable to distinguish between components required to manufacture a radiological dirty bomb from natural radiation emitters such as–wait!– kitty litter, ceramics or bananas! You would think the state would have considered another of the firm’s more dubious highlights before awarding them with a lucrative contract for something as critical as preventing nuclear terrorism. You’d be wrong however! According to the Project on Government Oversight’s (POGO) Federal Contractor Misconduct Database, Raytheon has the distinction of another No. 5 listing, though I doubt the company will tout this on their web site. Identified by the government watchdogs as a firm with a history of “misconduct such as contract fraud and environmental, ethics, and labor violations,” since 1995, Raytheon has been cited for some $479.2M in 20 instances of what POGO has identified as “misconduct.” These include: aircraft maintenance overcharges; contractor kickbacks; defective pricing; False Claims Act violations; improper classification of costs; the violation of SEC rules; TCE contamination at Kansas Airport; an EEOC racial discrimination lawsuit; contamination of Tucson, Arizona’s water supply with TCE and dioxane, “chemical solvents believed to be human carcinogens,” on and on. According to CIR, “systematic federal efforts to measure the effectiveness of various homeland security programs and grants have been less than a complete success.” And likely to stay that way in this writer’s opinion, judging by DNDO’s busted ASP program. Since completing government “service,” Bonner became a partner in the white shoe law firm Gibson, Dunn & Crutcher, specializing in “crisis management” for corporate clients. Amongst the firm’s more dubious legal “accomplishments” was their representation of the soon-to-be-installed Bush regime during the 2000 Florida recount. On December 12, 2000, the U.S. Supreme Court staged a judicial coup d’état and stopped the Florida vote count, thus handing the presidency to the Bush crime family and setting the stage for the most corrupt, and lawless, period in the nation’s history. 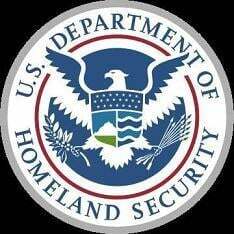 Confirming suspicions that not much has changed since the Obama administration blew into town last year, the president’s Homeland Security Secretary, Janet Napolitano, appointed Bonner to the Homeland Security Advisory Council’s Southwest Border Task Force. Corroborating the notion that the top political echelons of the secret state are mere jump-off points for a lucrative “post-government” career, and that “homeland security” is a highly-profitable game the whole family can play, CBP’s former head honcho is now a principal partner with The Sentinel HS Group, LLC, a Washington lobby shop. The only thing that has changed in the years since the ASP boondoggle was launched, is that millions in taxpayer dollars have greased the palms of well-connected defense contractors. In turn, defense behemoth Raytheon has repaid the favor, showering some $2.2 million dollars on federal candidates in 2008, according to the Center for Responsive Politics, with 55% of the lucre going to “progressive” Democrats. And 2010 promises to be a banner year for the “best democracy money can buy.” OpenSecrets.org reveals that as of January 31, the firm has already raised some $1.5 million, spending 59% of PAC dollars on congressional Democrats. When DNDO announced the initiative back in 2006, it was trumpeted as one of the cornerstones of the Bush regime’s corporate-friendly homeland security apparatus, to wit, it was sold to Congress as a front-line weapon that would prevent the smuggling of illicit nuclear materials into the heimat. When the $1.2 billion contract was awarded, officials claimed each device would cost “only” $377,000 and would “dramatically” improve vehicle and cargo container screening. Dialing-down the program, DNDO’s acting chief William K. Hagan wrote neocon Senator Joseph I. Lieberman, chairman of the Senate Homeland Security and Governmental Affairs Committee, that the Office will “possibly use the machines only for secondary screening, at no more than about a third of the cost originally planned,” Post journalist Robert O’Harrow disclosed. Hagan wrote that DNDO’s decision makes “sense, given the available performance and cost data.” In other words, although the ASP has proven to be a colossal failure, let’s fund a scaled-down version of the program. Is this a great country, or what! GAO watchdogs discovered that DNDO “used biased test methods that enhanced the apparent performance” of the machines. Congressional investigators found that dodgy methodology designed to manipulate the results, allowed contractors to adjust the devices after preliminary runs, giving the appearance that ASP’s performed better than they actually did. In other words, DNDO project managers handed out virtual Cliff Notes to the contractors during testing. Talk about a rigged game! Fear not dear readers, in Washington’s accountability-free zone failure is always generously rewarded. If the firm’s work for DNDO is any indication of “improved accuracy” we can expect from next-gen GPS, better dust off your compass and learn to navigate by starlight!